i almost titled this post, "adventures at atlanta's cesspool of germs" but i was afraid you would not click on the post and that there would be a good chance the title would make you a nervous wreck for the rest of the day. or maybe that's just me…..
and liza? well, she was just happy to be along for the ride. we thought it would be fun to take the girls to do something new and since they've been into building with their (princess) legos lately, we figured they might enjoy legoland. now, don't get me wrong. i'm sure it is a fun place. especially if you are a little boy that is obsessed with legos, because it did seem geared more towards school-aged boys, but our girls just weren't that into all the attractions it had to offer. i had to try my hardest to keep my crazy, germaphobe tendencies to myself, because there was nothing that i wanted to say more than, "don't touch that!" and "let's go wash your hands!" at least 5,000 times. now imagine countless other kids also doing this same thing. gag. 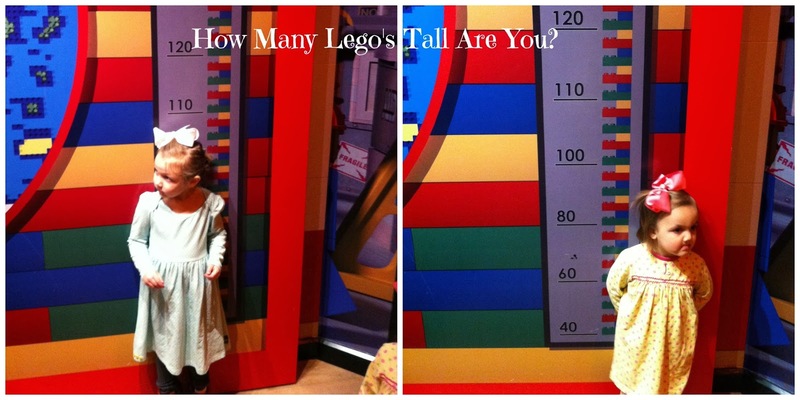 when we go places like legoland, it's always a reminder of how different the girls' personalities are. 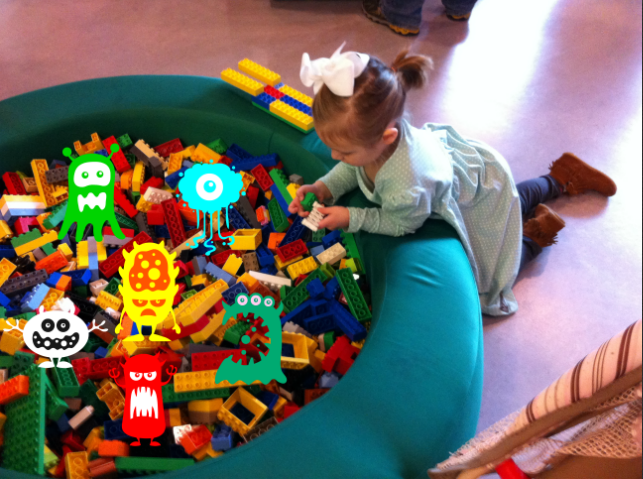 libbi preferred to play by herself in the germ lego pit. while laney tried out the lego ride and inserted herself into multiple car races between eight year old boys. these boys would build their elaborate lego cars and have them ready for the race at the starting line. 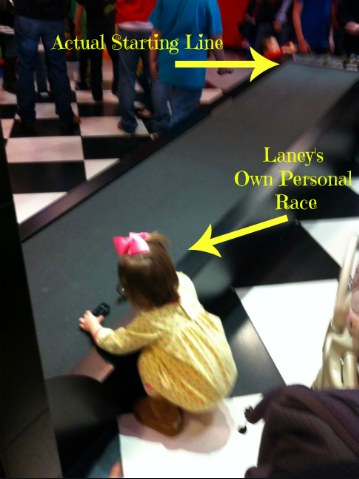 laney would walk up to the track, plop her block with a set of wheels down in the middle of the track, give it a shove, and declare herself "Winner!" haha. she is in her own world. libbi is acutely aware of all her surroundings. i'm not even sure laney realizes there are other people around. and yet, that's why they are such a good balance for each other. libbi encourages laney to have more boundaries and laney encourages libbi to step out of her comfort zone. although, i'm sure in about 12 years or so it will be interesting to see how that plays out…. after the girls played for a while and touched every last lego in that place, we washed our hands (i refrained from lysoling everyone) and made our way back to the car. legoland was fun and i'd encourage you to go if you're in atlanta and have a lego-lover at home. but for our girls, i think next time we'll save our money and just let them ride up and down the escalator.